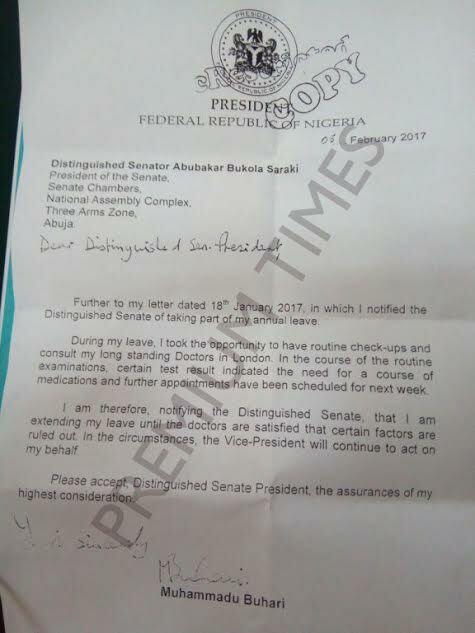 Buhari letter to senate says he's not returning till Doctors say so! This news is unconfirmed obviously,but if this is true,you can bet there will be more uproar from the opposition and Nigerians,calling for the exact information on the status of Buhari's health. 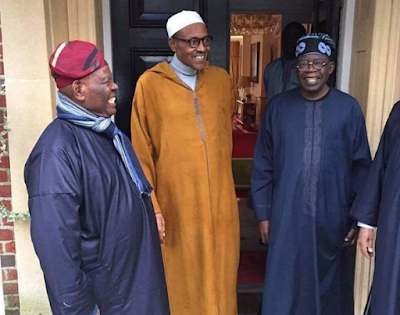 Personally ,i see no problem because he has informed the senate and the vice president has been put in place according what the constitution stipulates,but Nigerians are a hard bunch to please and you can bet that will not be enough to pacify them on this matter which has become a very sensitive issue in the country.